I've seen Glam Glow masks everywhere lately so, when they contacted me to ask if I would like to try one out for myself, I jumped at the chance. Glam Glow originated in Hollywood, when husband and wife Glen and Shannon Dellimore sought to create a product that met the demands of their actor friends, desperate for something that would give them a camera ready complexion. It became a runaway success and is now available from a range of UK retailers for us across the pond to enjoy! I received the YouthMud Tinglexfoliate Treatment. Designed for all skin types, this mask is specially formulated with Glam Glow's patented Green Tea Leaf TEAOXI®. It has won multiple awards, on account of it's time-release technology, which delivers super-squalene, EGCG Super-Antioxidants and Polyphenols into the mud for the life of the product. The mask tingles when applied. In actual fact, I have read that the more it tingles, the more it is working. When I first applied it, it felt fine - but sensation soon started and it definitely tingled. At one point, it was starting to become a little bit unbearable, but as quickly as that feeling came it dissipated. This was probably around the 7 or 8 minute mark, by which time the mask had really started to harden. It becomes whiter in colour - and jaw movements become especially difficult. I wasn't sure quite how long to leave the mask on for, but it was probably on my face for around 15-20 minutes in the end. I removed the mask with warm water, rubbing it off in circular motions as instructed. This helps to gently exfoliate the skin - so it is still having an impact, even when it's being taken off! I really liked this aspect, because it feels as though the mask is doing twice as much work. What struck most about this, is that you are only directed to apply a thin layer to get results. I did so, disbelievingly, but it certainly works. When I removed the mask, I felt that my skin looked far brighter than it had beforehand. My skin felt rejuvenated and refreshed and the dry patches I suffer with around my nose and around my forehead had reduced. The Youth Mud mask is designed to, as the name suggests, keep the skin looking youthful. At 24, my skin is quite 'young' anyway, although I do tend to use anti ageing products to try keep it that way. I don't think I have been using the product long enough to comment on whether it has had an anti-ageing effect, but I am definitely a fan of this, so I'll be continuing to use it to find out! A particular selling point for this mask is that it is not only suitable for all skin types, but for mena and women too. Given the small amount I have used when trialling this product, I also think the full size 50ml tubs would really last. I'll have to try one and report back. There are six other mask available, which you can purchase seperately or you can get them all together in a sample set, to find out which one you like best. 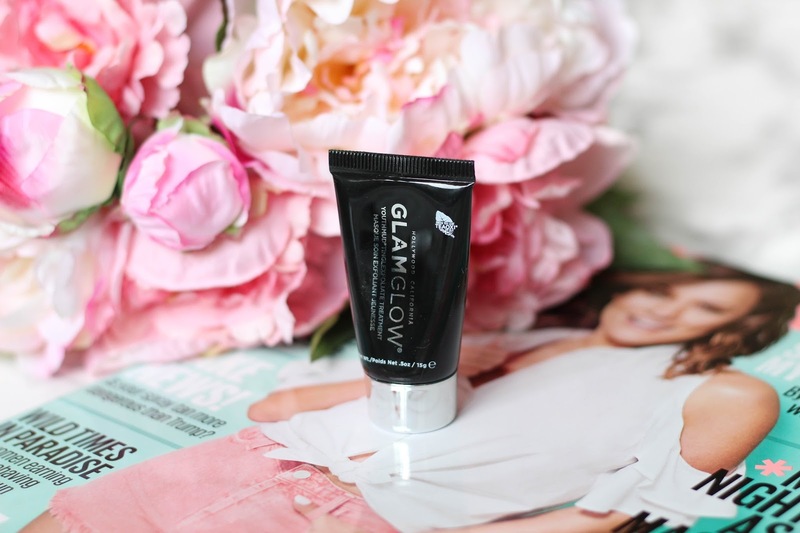 If you are looking to try out Glam Glow for yourself, then head over to their UK website. Currently, you can receive 15% off your first order when you sign up at www.glamglow.co.uk.